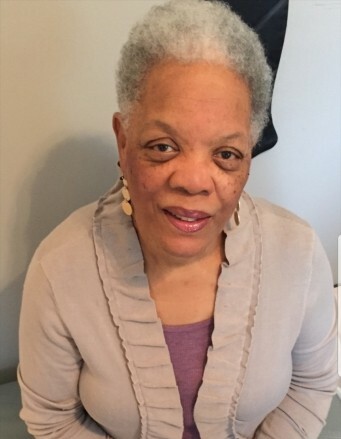 Rita J. Porter, 70, of Bardstown passed away Wednesday January 30, 2019 at Rolling Hills Healthcare Center in New Albany, IN. She was born March 31, 1948 in Lebanon, a member of St. Monica Catholic Church where she was a Eucharistic Minister for many years. She was preceded in death by her parents, Joseph Martin Smith and Mary Elizabeth Hayden Smith; two sisters, Florence Smith, LaTonja Smith; and brother, Michael Smith. She is survived by her three daughters, Stephanie (Raymond) Harrison, Traci Johnson both of Bardstown, Keisha Porter of Atlanta, Georgia; four grandsons, Austin Harrison, Alec Harrison, Grant Johnson, Colin Johnson; siblings, Lawrence Smith, James Smith, Liz Hayden, Deborah Trigg, Bernadette Stanley, Donnie Smith, Mark Smith; a host of aunts, uncles, nieces and nephews; and special friends. Her funeral service will be 11:00 am Monday February 4, 2019 at St. Monica Catholic Church with burial in St. Charles Cemetery. Rev. Jason Harris will officiate. Visitation will be 12-5 pm Sunday February 3 and 9 - 10:15 am Monday February 4 at Barlow Funeral Home. Memorial contributions may go to Masses at St. Monica.